Hence, congregations of Jehovah’s Witnesses around the earth have been informed that Nisan 14 will begin at sunset on Monday, April 14, 2014. That will be about the time of the full moon.—For more details on calculating the date, see The Watchtower of June 15, 1977, pages 383-384. The Organization’s calculations fail on several counts. Jerusalem starts Daylight Saving Time on Sunday March 30 at 2 am. Therefore, if the new moon occurs that evening at 18:45 Greenwich Mean Time, that would be 9:45 pm on the clock in Jerusalem. In 2014 both the Jewish Calendar and the WT version of the same adds a 13th lunar month (Adar2.) Therefore the new lunar month would begin at the next sunset. But will the crescent moon be visible on the horizon above the setting sun. The moon moves one diameter per hour upward and away from the sun (about a finger-width if you hold your hand up to the horizon.) The sun will set at 6:57 pm DST in Jerusalem the next evening, March 31. At that point, the new moon will be 21 hours 12 minutes old, and will set at 7:50pm, when it will be 22 hours 5 minutes old. If civil twilight ends 45 minutes after sunset, then the sky is fully dark and the moon is 22 fingers above the sun and still above the horizon. The WT footnotes on Babylonian calendar calculations point to scholarly works that explain the Babylonian astronomers had advanced the science of eclipse prediction through published tables. Jews lived in Babylon from the time of the exile right down to the time of Christ. Since the solar eclipse is the astronomical moment of the new moon, the method of observers was used to calibrate in “fingers” the timing of the moon’s leading the sun at the end of the lunar month, to lagging behind it in the new lunar month at the rate of about one finger per hour. The WT has frequently cited a necessary 18 to 30 hours required for visibility at sunset. So it would seem likely that Nisan should begin at sundown on March 31st, 2014. Yet consistently, the Governing Body ignores its own rule and waits an additional day, claiming visibility not likely. Therefore, unlike the Jewish Calendar, the Society starts Nisan 1 on April 1st of 2014. In 2013 a similar situation occurred, except that the comet PAN-STARRS C/2011 L4 appeared with maximum brightness and the same altitude in the sky as the new moon on the evening of March 12, 2013. This meant that hundreds of cameras were trained on the sunset from Jerusalem, when the new moon was about 21 hours old, to California, when at sunset the new moon was 31 hours old. This allows us and the entire world to judge the reliability of the judgment of the Governing Body in this matter. A photographer captured this photo of the new moon setting in California with the comet next to it, about 31 hours after the moon had crossed the sun. The bright sliver at the moon’s bottom is the portion of the moon’s surface in sunlight. Once the crescent (sliver) of light is visible, the new moon is past. There is no reason to wait the extra day. The thought that the Jews had to wait for visible confirmation is specious and historically inaccurate. They could know by precise calculation when the new moon was even if the skies remained cloudy for days, because the Babylonians, master astronomers that they were, had worked this out centuries before. 52 Then the Jews began to argue with one another, saying: “How can this man give us his flesh to eat?” 53 So Jesus said to them: “Most truly I say to you, unless you eat the flesh of the Son of man and drink his blood, you have no life in yourselves. 54 Whoever feeds on my flesh and drinks my blood has everlasting life, and I will resurrect him on the last day; 55 for my flesh is true food and my blood is true drink. 56 Whoever feeds on my flesh and drinks my blood remains in union with me, and I in union with him. 57 Just as the living Father sent me and I live because of the Father, so also the one who feeds on me will live because of me. 58 This is the bread that came down from heaven. It is not as when your forefathers ate and yet died. Whoever feeds on this bread will live forever.” 59 He said these things as he was teaching in a synagogue in Ca·per′na·um. If the Christian wishes to follow this command, when will the partaking be done? 19 Also, he took a loaf, gave thanks, broke it, and gave it to them, saying: “This means my body, which is to be given in your behalf. Keep doing this in remembrance of me.” 20 Also, he did the same with the cup after they had the evening meal, saying: “This cup means the new covenant by virtue of my blood, which is to be poured out in your behalf. 21 “But look! the hand of my betrayer is with me at the table. 22 For, indeed, the Son of man is going his way according to what has been determined; all the same, woe to that man through whom he is betrayed!” 23 So they began to discuss among themselves which one of them could really be about to do this. Note Luke’s explicit report that the apostles were all there and that the hand of the betrayer is still “with me at the table” after the partaking. According to the Jewish procedure and often stated principles of the Governing Body as to this being done on Nisan 14 after sundown, we see from evidence that Sunday April 13th, and not Monday April 14, is the correct date. As to where to do this, the Law Covenant as well as what Jesus instituted was done in a home setting by believers gathering themselves into family groups. This is quite different that the upcoming “campaign” to invite the public to join with mere “friends of God” in observing the remnant partaking, which could been observed in less than one out of a thousand congregations. Many Jehovah’s Witnesses are coming to the realization that we have been failing to obey Jesus’ command all these years. (For more information see “Kiss the Son”.) However, because the organization has created a stigma for anyone desiring to partake, many are afraid to obey this command. If you were to partake publicly, some would look down on you as being presumptuous while others would consider you as someone special and treat you with a certain reverence. Both attitudes are wrong, of course, but are a natural offshoot of the doctrine that teaches that only a privileged elite have a heavenly hope. These few are informed of this marvelous privilege through some mysterious and unexplained means by which God informs them of their newfound status. They reason that if enough Jehovah’s Witnesses take a stand in this way, they will proclaim a truth that cannot really be spoken freely in the congregation in any other way. After all, a person cannot be disfellowshipped for partaking of the emblems. Of course, one must be very careful how one responds to any questions that may be forthcoming after the Memorial. It has been said that, “no one ever got in trouble by keeping his mouth shut.” Silence, therefore, is the best defense against intrusive and probing questions that are merely intended as entrapment. There are those who wish to recapture the spirit of the original Memorial by meeting together in a small group, enjoying a meal, reading from the Bible and discussing it, perhaps singing some songs, and finally, passing the bread and the wine. This they plan to do on April 13th. These same ones will then meet with the congregation on April 14th and again partake. That a Christian should partake is not a matter for discussion. It is command of our Lord and must be obeyed. How he chooses to partake is another matter entirely. Each one must be guided by his or her own conscience and give due consideration to his or her own circumstances. Pray for the guidance and blessing of Jehovah as we approach this most sacred of nights. I was so nervous. I sat at the front near the side. I don’t think anyone but the person next to me was excited to see me do it and the server but it was awesome. I haven’t felt this good since my baptism. Why Sunday the 13th. Even the Jewish calendar this year has Passover this Monday? No. Though our calendar and the Jewish one coincide this year, there are other years where the dates didn’t coincide. However, if Nisan 1 marks the first new moon after the spring equinox, then that has to be March 30, not March 31. The only reason for celebrating the memorial privately would be if there is no one else to celebrate it with. Nice to see you here. I have skimmed over your blog in the past, hope to see you more often. Proverbs 27:17 By iron, iron itself is sharpened. So one man sharpens the face of another. I’d like to see some expounding upon this question also. Wouldn’t Jews know best when passover is supposed to be? Wouldn’t scientists know best that evolution is a fact? Wouldn’t the vast, vast majority of Christians know that the true nature of god is as a trinity? What counts is the math and the astronomical data. 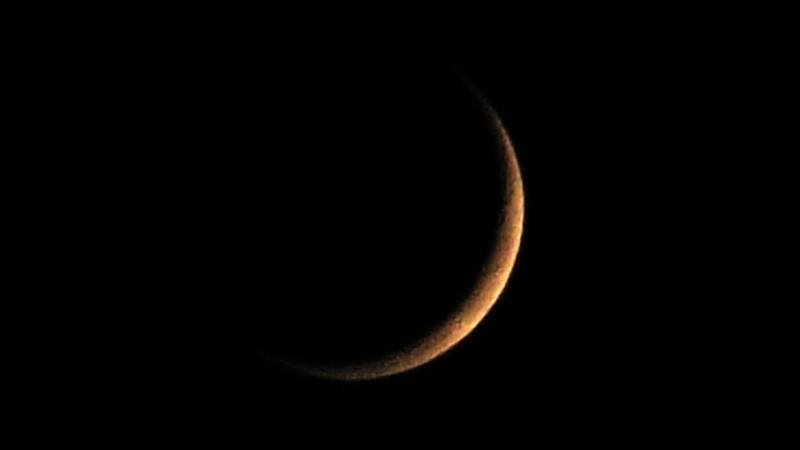 The new moon occurs on march 30 not March 31, so why count Nisan 1 on April 1? The implication is that the Corinthians were having it as a regular feature of their weekly gathering (cmp 1 Cor 16:1, 2). I agree 😉 In fact there is a lot of evidence that early christians part took every sunday. I would like to see your perspective on once a year/ versus as often as you gather. If there is a lot of evidence, then you really should submit it for our research. Well I still maintain that if we all sang the Hallel Psalms before consuming four cups of wine each, our departure to the Mount of Olives wouldn’t have us agonizing over the exact station of the moon. Passover was to be a happy, joyous time as should be our memorial of the last supper. smoldering…If you’ll just lead us all off to sing the Hallel Psalms, we can all join in and practice. What size is that wine glass? You sure made my day!! Thank you. I believe that getting the date as accurate as we can is important. The GB does as well but apparently the date they have come up with not as accurate as they will have us believe. I agree that Jesus does not want us agonizing over the exactness of the time he instituted the meal. Commemorating the occasion is far more important.